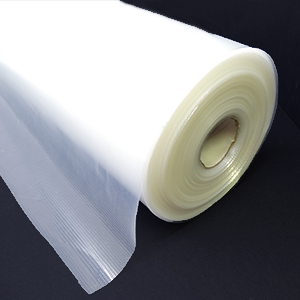 E-Zee Madeira Heat Activated Film is a heat sensitive film. It is 100 micron, made of Polyolefin. It does not contain formaldehyde and is 100% environmentally friendly. Embroidered patches and emblems pop out easily. Excess material is removed completely with heat. As a stabilizer, it allows you to embroider with no residual stabilizer or fabric. Up to 2 pieces can be used to improve stability. Use the smallest frame for optimum registration. When using 2 pieces, remove one layer at a time.